Make the swap to glass drink bottles today and enjoy that clean, pure taste! 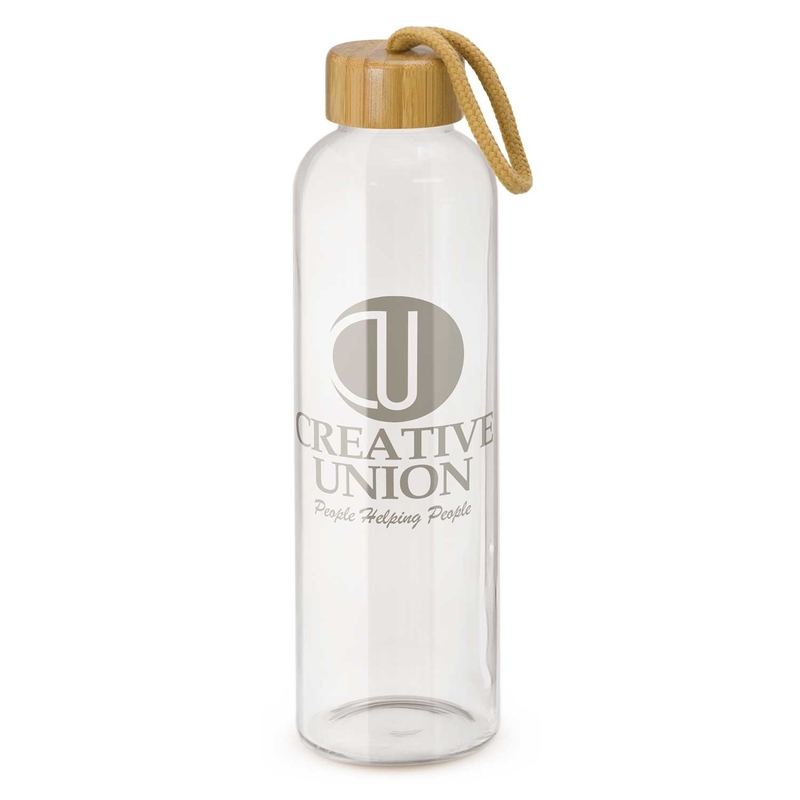 Sophisticated, smart and conscious of the planet these are a brilliant promotional glass water bottle. 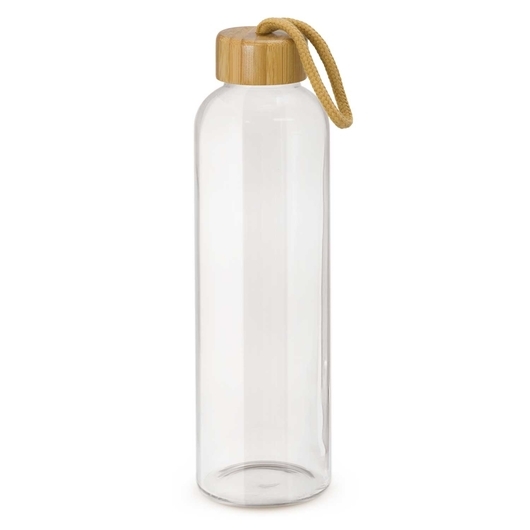 They have a capacity of 600mL and feature an on trend bamboo lid with matching braided carry handle. Made from borosilicate glass they are lightweight, shatter resistant and exceptionally strong. They can also be decorated in a number of ways: a laser engraving on the top or side of the lid, a large pad print (1 colour), pad printing or an imitation etch. Ask us for suggestions on the best look for your promotion! Please note: not intended to be used with hot or carbonated liquids.